The presence of a church at the Ayb Learning Hub symbolizes the existential relationship between knowledge and moral values. A testimony to the Armenian spiritual legacy, the church aims to promote a moral and educated generation. For centuries, the Armenian Church and School worked hand in hand, ensuring the spiritual and national unity of our people and cultivating creative harmony between knowledge and values. 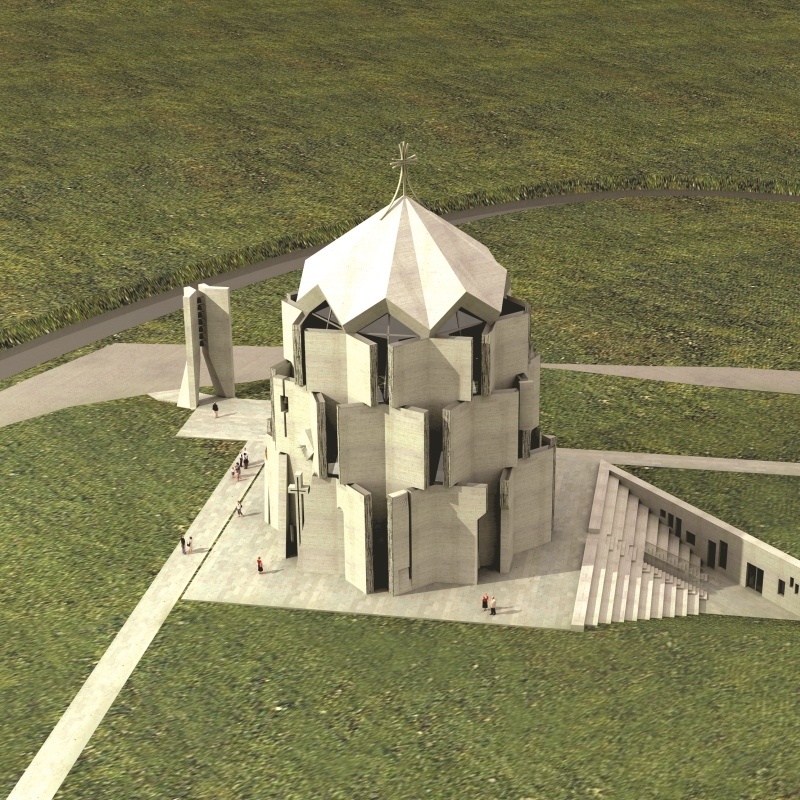 The movement launched by our Holy Translators – St. Mesrop, St. Sahak and their disciples – has been a most illustrative example and a source of inspiration for the Ayb Community, and thus the Church symbolizes the people on the written heritage of which the Armenian identity and spiritual awareness are anchored. In the 5th century, thanks to the Holy Translators – St. Mesrop, St. Sahak and their disciples – the Armenian alphabet, literature, music and school were created. Working together these geniuses started a movement that sustained the Armenian nation through the centuries ensuring its cultural continuity and integrity to this day. This unique movement, its spiritual values and educational mission laid the foundation of Armenian identity. Armenian people have named them Holy Translators and established a church holiday in their name. 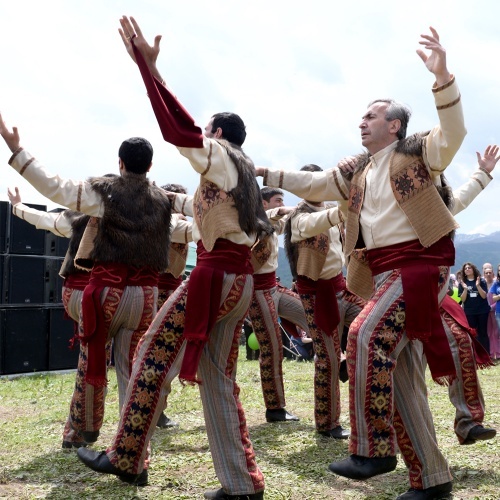 Moreover, Armenians are the only nation to celebrate the concept of translation. In Armenian theological literature, translation is regarded as the greatest grace to commune the divine wisdom with creation and to spot the heavenly in the earthly. The spirit of translation indicates the ability of a nation to commune with the universal, to make it their own and to see their identity in the larger picture. Translation is a universal principle of life; people always translate by explaining, interpreting, revealing, proving and so on. Most importantly, translation is the key to the continuity of civilization. At its most fundamental level, education is translation. Its meaning is not an automatic transfer of values but rather the introduction of the lived truths and continuity of the living history. The spiritual mission of St. Mesrop, St. Sahak and their students not only gives us a profound perception of the deepest layers of identity, but also unique keys to seeing and translating the future. Ayb seeks to revive the spirit of the Holy Translators. It has brought together people from around the world, who recognize the importance of education and are willing to invest in it. 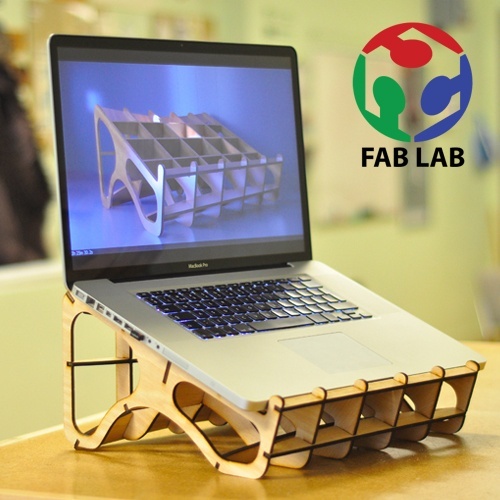 We incorporate new qualities, mindful values and lived realities. Today, with the practice, efforts and investments of like-minded persons, Ayb is building the architecture of new Armenian schooling that will stand out with conceptual, systemic and environmental solutions designed for today’s world. Each Ayb member enriches and empowers the movement of the Holy Translators, contributing ideas, experience and energy, thus opening a new path for future generations. Ayb School is a secular school. The Ayb educational campus is comprised of four zones: educational (elementary, middle and high schools), sport (gyms, playgrounds and swimming pool), social (fab lab, Science & Technology Center, dormitories, kindergarten) and spiritual (church and community center). All these zones are connected by public parks and green areas. The Ayb campus serves as a community micromodel, where all components operate independently and interact through education. People come here to learn and to teach. The campus is open to students, scientists, artists and the general public. The Holy Translators Church will be Armenian Apostolic and will belong to the Mother See of Holy Etchmiadzin, and like other churches will serve the Arabkir and Kanaker-Zeytun communities and be open to everyone. The Church in the Ayb campus will come with unique architectural solutions and consist of stone books, each of them signifying one of our Holy Translators. It will house a theological library where people will have the chance to read, study and explore the spiritual writings and thoughts. 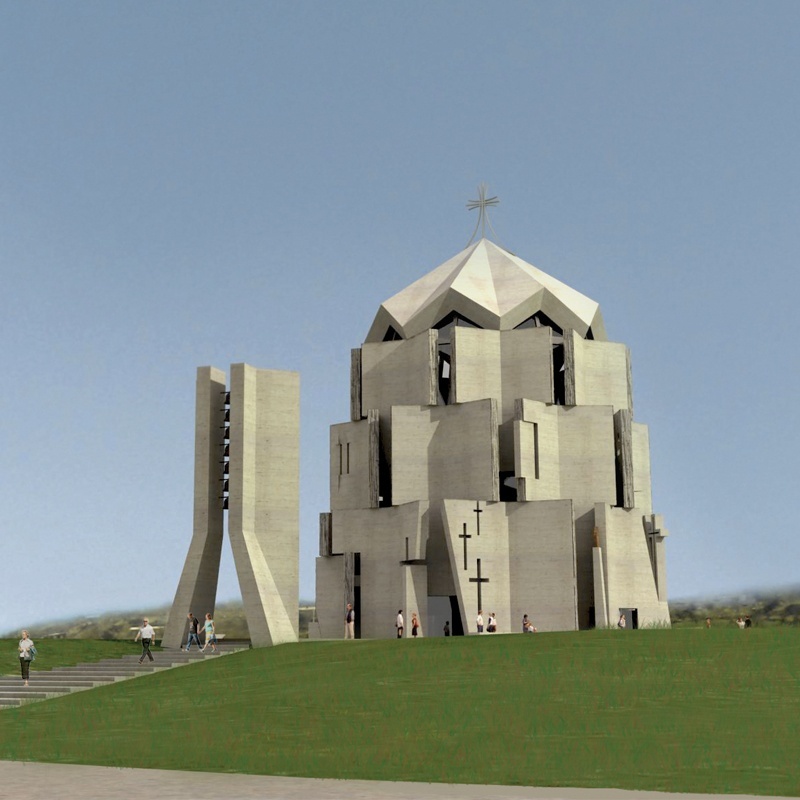 In March 2012, Ayb Foundation reviewed the results of the open competition for Holy Translators Church’s architectural concept. 119 individual and corporate architects from Armenia, Russia, Spain and USA registered on www.holytranslators.com website created particularly for the contest. 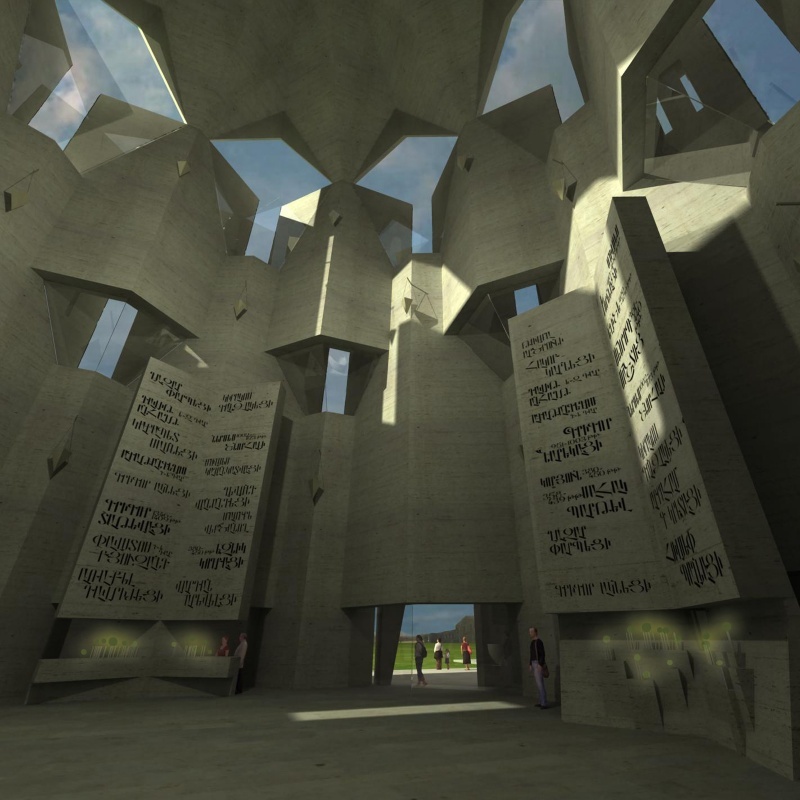 The competition resulted in 50 architectural concepts of the church. 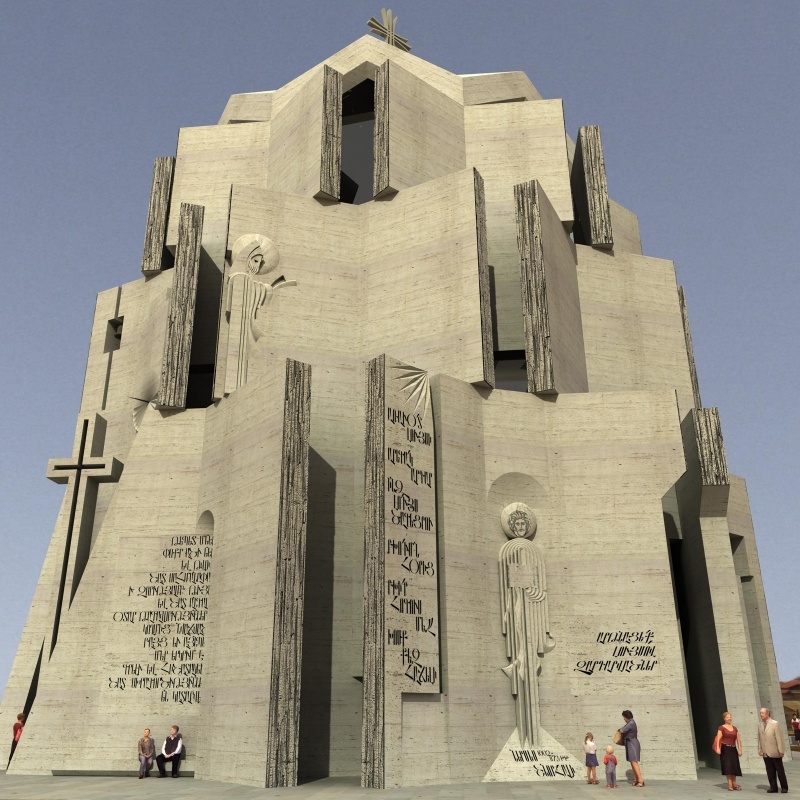 Eric Ohanian’s (Armenia) work was chosen as the final plan for the church to be built in honor of the Holy Translators. Information on the Construction of the Church of the Holy Translators in Ayb Learning Hub.